Explore the timeless traditions and deep maritime roots of Western Shore towns along the Chesapeake Bay. Go sailing, bird watching, museum hopping or just relax on a sandy beach. 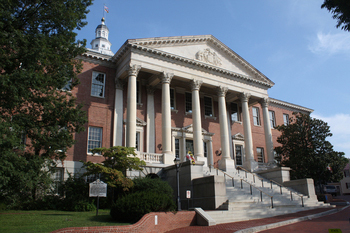 The streets of Annapolis provide charming and dramatic vistas of the Maryland State House on State Circle. 47 miles on mostly scenic, quiet roads from Annapolis to Plum Point, with some traffic in Annapolis. The route is part of the Great Chesapeake Bay Loop. The recreational opportunities are plentiful with each golden Chesapeake Bay day. Enjoy a relaxing beach getaway, navigate the bay’s waters, visit a heritage site or savor a delicious seafood meal. From bayside towns to fishing communities, this byway showcases the history and culture of this region. Begin in Annapolis, where there are more 18th-century buildings than any other city in America. Visit the Maryland State House, which served as the nation’s capital in 1783, and the Banneker-Douglass Museum to learn about the area’s African-American heritage. Also available are guided walking tours of the U.S. Naval Academy, featuring glimpses of a midshipman’s life and a history that dates back to Revolutionary War hero John Paul Jones. Of course, no trip to “America’s Sailing Capital” is complete without a fishing excursion or relaxing charter boat ride. Finish up with a delicious seafood dinner or unwind at a local pub. Head south into Edgewater and tour Historic London Town and Gardens, where archaeological digs have unearthed artifacts dating back to the 18th century. Gardens and reconstructed colonial buildings are also located on the 23-acre property. Many sites along this byway are part of the Chesapeake Bay Gateways Network, which connects visitors to history, culture and recreation along the bay and its tributaries. One official gateway is the Smithsonian Environmental Research Center, which encompasses 2,800 acres of forest, cropland, pasture, freshwater wetlands, tidal marshes and estuaries. Family-oriented activities include hiking, kayaking and guided canoe tours. Check for powerboat and sailboat rentals in Edgewater, or continue south and charter a ketch in the 360-year-old Quaker settlement of Galesville. Nearby is another Chesapeake Bay Gateway, a restored waterman’s cottage in Shady Side known as the Captain Salem Avery Museum. Learn about the life and livelihood of Captain Salem Avery, a late 19th-century Chesapeake Bay waterman, at the Captain Avery Museum in Shady Side. Fish on the Chesapeake Beach Pier, which is close to a beachfront campground where swimming and searching for fossilized shark's teeth and sea glass are also popular activities. Paddle your own canoe, or hike a wooded trail at the Smithsonian Environmental Research Center in Edgewater where scientists study coastal zones. Dive into the history of seapower and the development of the U.S. Navy at the U.S. 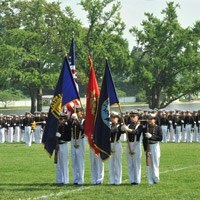 Naval Academy Museum in Annapolis. Historical artifacts and displays explore stories about the men and women who have served their country at sea. Sailboat regattas are a regular sight on the water in Annapolis, nicknamed "America's Sailing Capital." 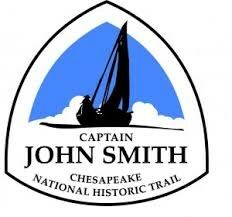 Take to the water along the Captain John Smith Chesapeake National Historic Trail, which covers nearly 3,000 miles of the Chesapeake Bay and its tributaries. Never far from a friendly shore, the trail is easily accessible and marked by “smart buoys” that communicate historical information. Introduce yourself to Annapolis with a guided cruise of the Annapolis Harbor and learn about the colonial historic seaport while catching sights of the U.S. Naval Academy and Maryland State House. For a quiet, relaxing beach vacation, head south into Rose Haven, North Beach or Chesapeake Beach. Enjoy ports, marinas, museums, restaurants, antiques shops and bed and breakfasts while admiring the waterfront views. The resort community of Chesapeake Beach is also the location of a water park with slides, fountains and waterfalls. The sandy, half-mile-long Breezy Point Beach is great for picnicking, swimming, fishing and crabbing. From here you can head south to Plum Point, or turn inland to connect with the Star-Spangled Banner Byway. Continue south to Prince Frederick, site of a vineyard and Battle Creek Cypress Swamp sanctuary, where a boardwalk trail provides an up-close look at centuries old cypress trees. Nearby, explore 15 miles of trails on a preserve owned by the American Chestnut Land Trust. Explore the unique environment along the wetland boardwalk at Battle Creek Cypress Swamp Sanctuary and visit the nature center. Rent a bike at the Welcome Center in North Beach, and cycle through town to see the sights. The Chesapeake Beach Railway Museum is housed in an 1898 railway station and contains exhibits about the old Victorian resort and amusement park that operated there. Explore The Chesapeake Beach Railway Museum, a 19th-century railroad depot with displays about the railway and amusement park in Chesapeake Beach during its heyday.